PunchlinePDX is a slow-motion video booth for events and parties based out of Portland, Oregon. Earlier this year, I helped them develop event management software that would allow them to upload and curate video. This was their first experience hiring a software developer, so I had the opportunity to walk them through the entire process. We started by outlining requirements and coming up with a solid plan with application screens, functions, and things to meet their business needs. We then brainstormed additional features and came up with something pretty amazing. The best part was the testing process. While I ran them through their new software, they made slow-motion video of me and used the software to upload and manage it. Check it out! You should seriously consider booking these guys for your holiday party. If you’re a Unix geek, you’ve probably used bash, the Bourne-Again Shell. If you’ve been around a while, you’ve probably spent a lot of time customizing bash. Back when I worked for Yahoo!, my friend Bryan gave me a great directory stack for bash. I loved it, so I rewrote it and have been hacking on it and using it ever since. Observe. In addition to the handy new go command, it also includes b and f for moving backwards and forwards on the stack. It was inspired by pushd and popd, but it’s so much more. If you’d like to check it out, take a look at my bashtools repository on GitHub or just download version 1.0. I don’t change it very often, but I’m thinking of hammering out a long-standing bug in the directory stack code. N.B. If you use all of my scripts, you’ll get some great prompts for your xterms. You’re welcome! 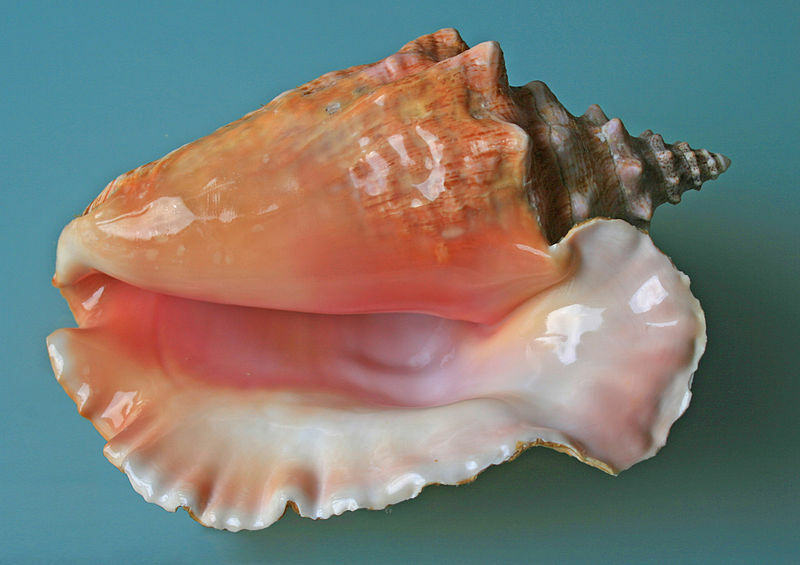 Not this kind of shell. I just checked Google Analytics, and over the last 18 months, my online article “Symbolism in Masonic Rings” has had over 6,000 page views. That’s excellent! If you’re interested, you can read it on Transformason.org. Please excuse the website. There’s a reason I outsource web design tasks. A couple of weeks ago, I cleaned up my prime number library for OCaml. This library has a number of primality-testing methods in it, but my favorite is the Miller-Rabin primality test. It’s fast and rather accurate. If you’d like to take a look at the library, please check out the camlprime GitHub page. The library is pretty easy to use. If you download and compile the library, you’ll end up with a toplevel that you can play with. The test.ml file has some examples of how to use the primality tests. However, my favorite thing about this library is that it includes a lazy list implementation of prime numbers. The following example shows how to set up a lazy list of prime numbers proved using the MR algorithm in the toplevel. The library is pretty fast, even for really large numbers. I’ve tested it on 300-digit prime numbers, and I’m sure it will scale to sizes much larger than that. Any thoughts or improvements? Let me know in the comments.